Our Leigh Country log holder keeps all your kindling together, neat and tidy. Our log holder comes with handles for portability, and a powdered coated finish which enhances its great look. 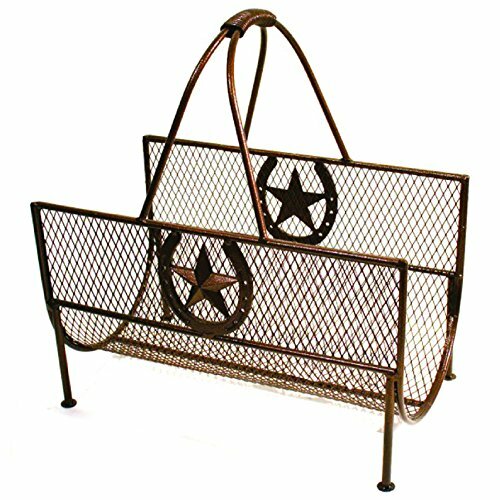 The horseshoe and star detailing goes well with our Horseshoe Fireplace Set and our Fireplace Screen with Star (sold separately). If you have any questions about this product by Leigh Country, contact us by completing and submitting the form below. If you are looking for a specif part number, please include it with your message.